Today me and the man are going to malmö, to sort out some things and also visit my brother, gonna be a nice day :)! The sporty trend is definitely one of my fave trends this year, love it, cause it’s quite casual but still cool! These three above are real nice, my ultimate fave is the Celine one in the middle, who doesn’t wanna lay their hands on that one ey?!?! We’ll see if I’ll wear my topshop tee/ dress as a dress this summer, I’m not that much for dresses, and especially not so much for the baggy ones, cause I think I’ll worry about flashing if it’s windy, it’s a risky buisness! ha! we’ll see, needs to get much much warmer before that can happen anyways! I never partied with Ben & jerry last night, it got too late, and I was busy doing other stuff, I also watched the season finale of my fave sitcom at the moment “Whitney” super sad it’s over for now… I really hope they’ll make a third season! In this episode it was Whitney Cummings and Chealsea Handler, oh my, could there be any greater combo?!? love these two women! enought about my nerdiness now, I had pretty bad nighmares last night :( not fun! Woke up from it, and had to stay awake for a while so I wouldn’t fall back into the dream again, cause I usually do! Also I wanna say thank you so much for the brilliant site /page Macedonian fashion bloggers, they’ve been so kind to me, and really made me a part of their community, thank you! Also while I’m at it, I don’t have a coloumn or anything where I list my fave blogs, so I’d thought I’d let you know now one of them which is my ultimate fave streetstyle blog, everytime I’m in need of some inspo, or I dunno what to wear I always check Stylesnooperdan! She’s the best! 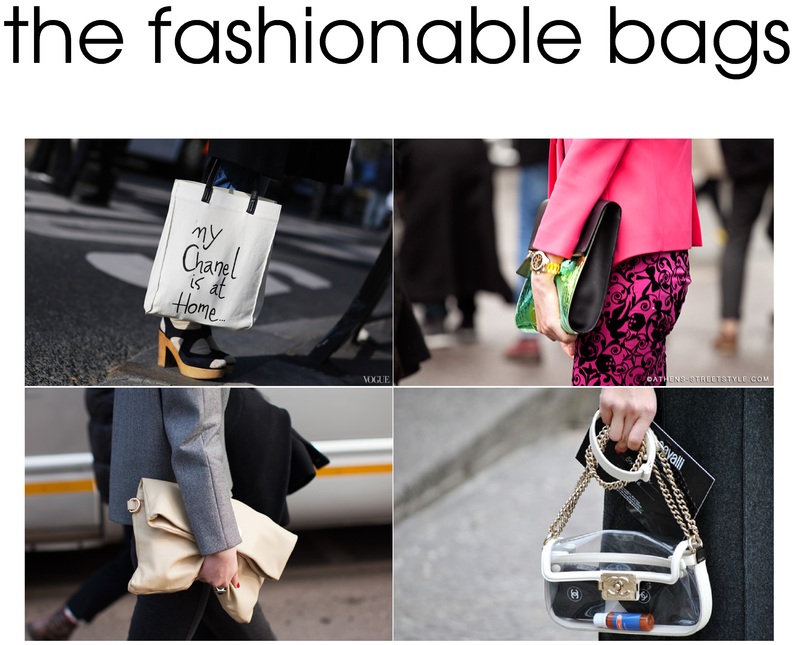 Check out her streetstyle blog HERE! So there’s an obvious trend when it comes to the jewellery for this season, the bigger the better! Proper statement pieces! 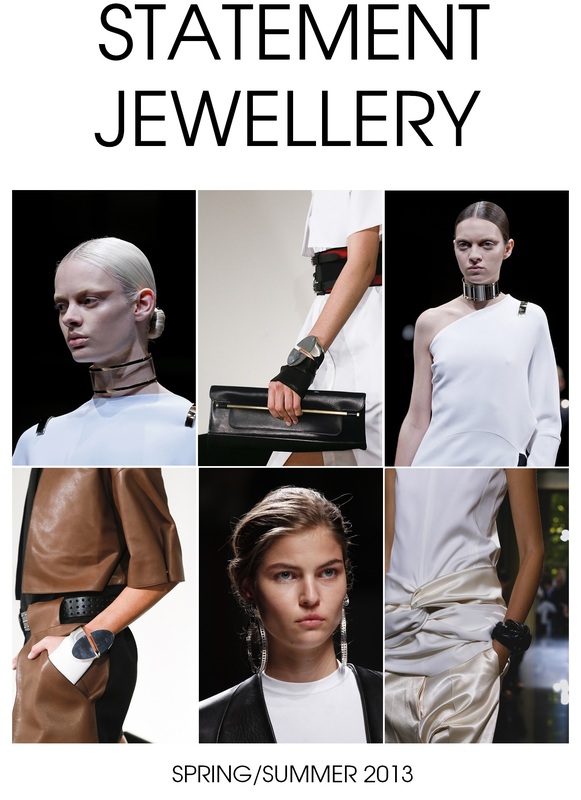 The ones above are some of my favourite jewellery from the spring/summer 13 shows! Especially the Givenchy necklaces, they’re well nice, and how cool isn’t the Hermés bracelet/leather glove in one! Love it! 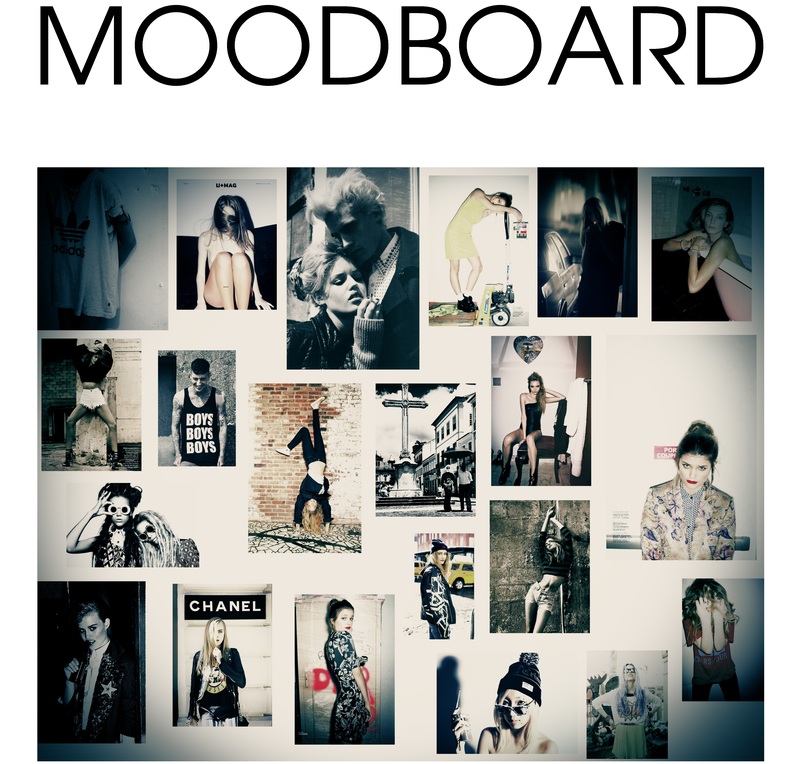 My moodboard at the moment! 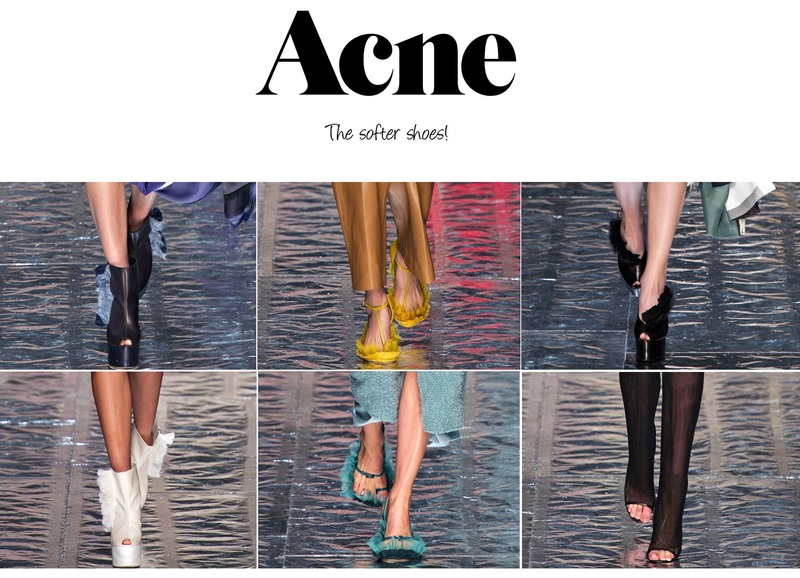 Besides Celine ss 13 and Wang aw 13-14 now also Acne aw 13-14 is showing the more “softer shoes” at the catwalk, hot or not? I really like the campaign for Celine spring summer 2013 collection, love that it has kinda become a trend that editorials look a bit “homemade” a bit grainy, and not so retouched, and I think that’s wicked, think the photographs look more arty and interesting that way, and not so very shiny and plastic. Read somewhere that a brand (can’t remember which one) was gonna do their entire campaign in instagram! A real cool idea I think! 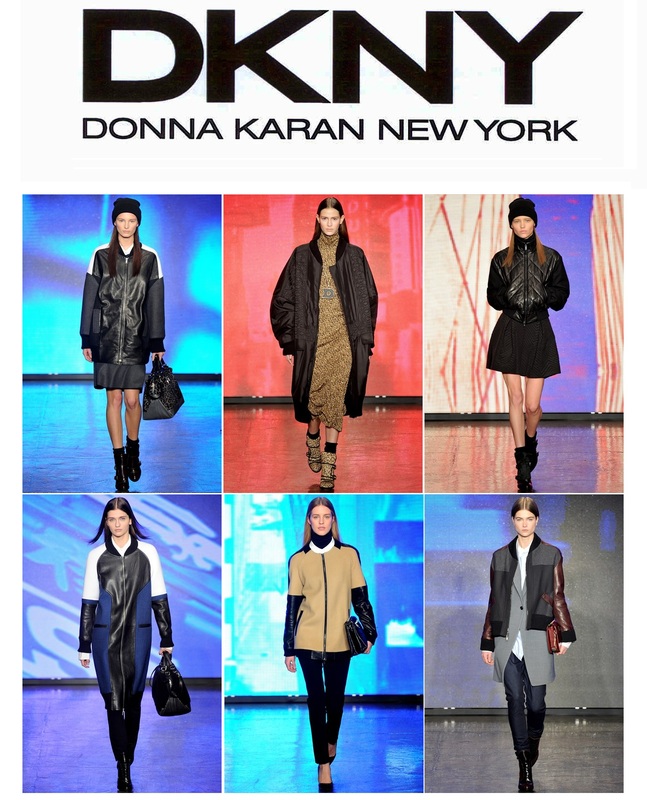 Wowzza check out this Autumn/Winter ready to wear 2013-14 DKNY collection! Good stuff this is! This collection feels like a great mixture of the best of Celine, Calvin Klein with a bit of that Dsquared2 edge to it! Nice one! I’m impressed! New York fashion week started a few days ago sadly with a massive snowstorm, hope everyone’s ok! And has already delivered a whole lot of great collections, one of them is definitely Alexander Wang’s collection, this man never disappoints! We see lots of blacks greys, browns, and white’s like always in his collections, a scale of colours which you might know I’m quite fond of! 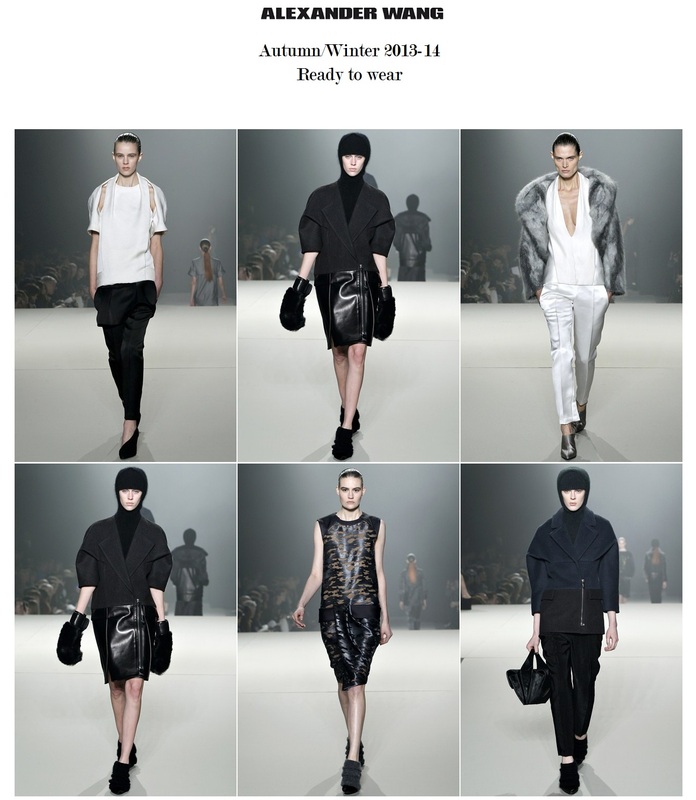 The collection is very minimalistic with great cuts and fabrics. A lot of leather, which I give thumbs up for! Some of the models were wearing these furry “boxing” gloves, which I thought was a funny idea! Also the models were wearing wedges that were covered in fabric, looked like whool or something, this thing with “softer” shoes reminds me of Celine’s collection were they had THESE furry shoes, is this gonna be a thing? Also now when we’ve seen the Alexander Wang collection, we can not but wonder if there’s gonna be any similarities to the Balenciaga collection in Paris, which is gonna be Wang’s first collection as their new creative director, I believe we’re all quite excited to see what he comes up with! Just noticed, that wordpress has linked my word “wonder” to a dating thing or something, is this a new way of advertise? Don’t like! I can’t take it away!